I am not a guru in the natural product field but it seems that more and more are coming out that way. Dr. Bruno Sharp, Miami’s leading aesthetic dentist, has a line of flouride-free products and we were lucky enough to get some to test out. Dr. Sharp's toothpastes and mouthwashes made with natural ingredients and herbs that are vegan and not tested on animals. Their whole manufacturing process is also quite green which is nice to see in any company. For example, their boxes are printed with soy ink. The key thing, however, is that the products are flouride free. People shouldn't flouride and we know that but your little ones that don't know better yet may accidentally swallow while brushing their teeth. It could potentially lead to bone and teeth problems. I was sent the Fresh Mint Whitening Toothpaste, Green Tea Whitening Toothpaste, Strawberry Cream Kids Toothpaste and Fresh Mint Mouthwash for review. This package itself retails for $39.75. What I enjoyed about this line is that although the toothpaste is flavored, its all natural, there's no artificial flavoring and I find that kind of neat. I love Green Tea so of course, my natural favorite was the Green Tea Whitening Toothpaste! Price-wise, a bit on the higher end, which is somewhat expected being a natural product. However, as expected of Dr. Sharp's products, pretty sharp indeed. 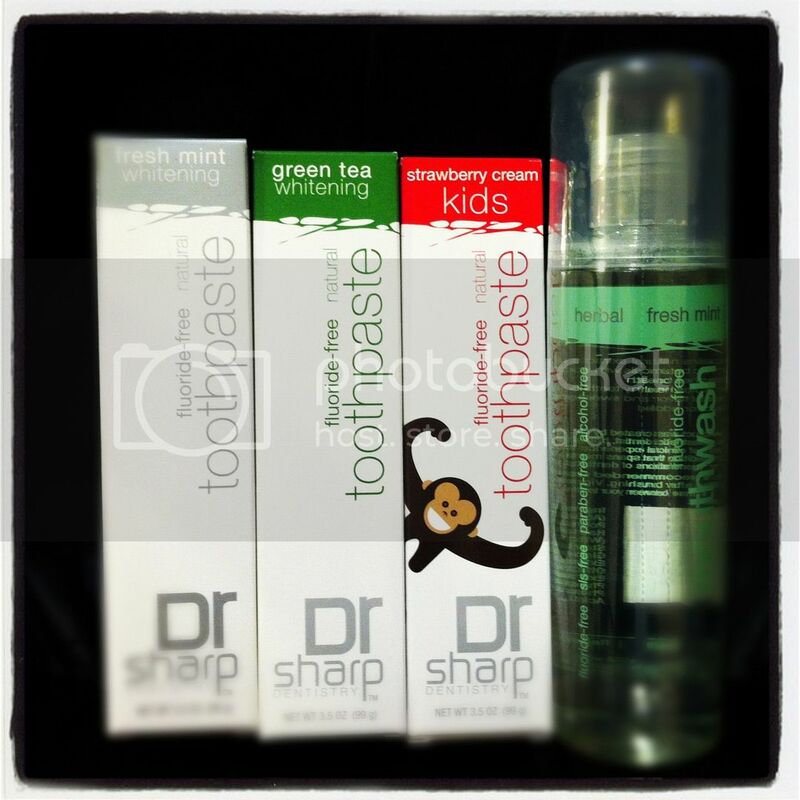 Buy It: Shop online for Dr. Sharp's products. Available as individual items or family packs. I'd love to give these a shot, but they're a bit beyond my budget. I always support companies that are green. Since I was raised with Fluoride Treatments for my teeth, I just assumed that things didn't change. It's always good to learn something new. I would love to try this and would love the green tea flavor. I love that it's fluoride free. It's always great when a company does things in a way that is better for our environment and our health! I absolutely loved his website! I had no idea they were so natural and needed no FDA warning labels! I've never heard of or tried these products before, it's something I want to look into thank you.